#LTO: Don’t You Forget About Me Only .99!! Erin McCole Cupp is a wife, mom, and lay Dominican who lives with her family of vertebrates in the middle of Nowhere, Pennsylvania. Her writing has appeared in Canticle Magazine, Parents, The Catholic Standard and Times, and The Philadelphia City Paper, and she is a regular contributor to CatholicMom.com. Her other professional experiences include acting, costuming, youth ministry, international scholar advising, and waiting tables. Her influences include Neal Stephenson, Gerard Manley Hopkins, and Jane Austen. Her weaknesses include iceberg lettuce, frozen drinks, and anything labeled “Visitor Center.” Erin is the author of Jane_E, Friendless Orphan: A Memoir (Broken Wheel Media, 2006), Don’t You Forget About Me (Full Quiver Publishing, 2013), and Working Mother (Full Quiver Publishing, 2014), all available on Amazon. You can find more about Erin at erinmccolecupp.com. I’ll be on A Seeking Heart with Allison Gingras today at 10 a.m. To call in and ask questions and just join in the conversation, call 1-855-949-1380. I’m also over at the Catholic Writers Guild talking about “Mediocrity.” Check out the post here. 3. Stealing Jenny #1 in Canada! This past week, Stealing Jenny hit #1 in Christian Fiction and Religious Fiction on Amazon.ca! What is so cool is that it was ahead of the Chronicles of Narnia (#2) and the new novel by Karen Kingsbury (#3) . Allison Gingras is hosting a giveaway this week. Head on over to Facebook to enter the giveaway of three print copies and two Kindle copies of Stealing Jenny. This is the last day of Marie Therese Kceif’s Virtual Book Tour. I’m interviewing Marie for today’s blog post. What inspired you to write a book about your life? Life without Jesus brought me to the most profound suffering I ever thought possible. I was a lost sheep not knowing I needed a Shepherd. God has allowed me to experience that suffering because of the choices I made so I could fully know and share with others that we need to turn to Him and to surrender and be open to His love and grace. I want others to benefit from my experience so that they may know the path of life and peace Jesus wants all of us to have. I want others to know there is someone out there who has been there, who is not perfect nor has a perfect past, but God loved her anyway and He loves and will accept them back too. After I had written about three chapters, my husband came home and said he had heard on the radio of a writers’ conference only an hour south of us. He was so convinced I was supposed to go to this conference that he sat me down right then and there on the website he had heard on the radio. The problem was the conference was the next morning. But when I called they had a slot left and allowed me to still come, the conference had been sold out. When I registered that night I had to sign up for the particular classes I needed. Looking at the pictures of the conference teachers, I became aware prayerfully that there was one in particular that God wanted me to meet. I somehow knew I had to speak with her, but not sure why. When I got to the conference, I made a strong attempt to meet her personally and tell her what I was being prompted by God to do. She told me to send me the idea of the book and what I had up to that point and that she would indeed help me along the journey of writing the book. With her help and God’s prompting and grace, Eve’s Apple became a reality. I firmly believe that God wants to use my story and so I exposed my sin and His amazing grace and forgiveness so that others may experience healing. One night before I had written the book, I had a dream. In the dream I heard a voice that spoke to me these words, “Eve’s Apple” and that it was to be the title of the book I was supposed to write. Right after having that dream, I woke up out of my sleep and woke up my husband — it was in the middle of the night — and told him I knew the title of the book I was supposed to write was “Eve’s Apple.” And so I believed this was from God and titled it as I heard it in my dream. Who would you say is the target audience for your book? Eve’s Apple is a good book for those who have fallen away from their Roman Catholic faith, but also those who have made mistakes and need to know God forgives, loves and pursues his lost sheep out of love for them. This is for those who need to believe in hope of forgiveness and second chances from our Lord and Savior. I have had many first time readers from my bible studies and conferences come back and purchase more books for their loved ones who have fallen away, so perhaps it is also for those who desire to bring their fallen loved ones back to God’s holy Church. What message do you hope the reader will bring away from your book? God loves and pursues each child He has created. No matter how far or how long you have walked away from Him, He wants His child back in His refuge and love so that someday they will be back with Him in Heaven. His Divine Mercy reaches to the very lost, the broken and those who think there is no hope…Jesus came for the lost so they might have life. The Catholic Church is the fullness of that love; it is His best way back to His loving arms and to truly know Him for it embraces all of the graces made available through His passion and resurrection He endured for His children. To check out Marie’s book, here is the link to the paperback edition. This is the hardcover edition of her book at this link. And the new Kindle edition has just been released! 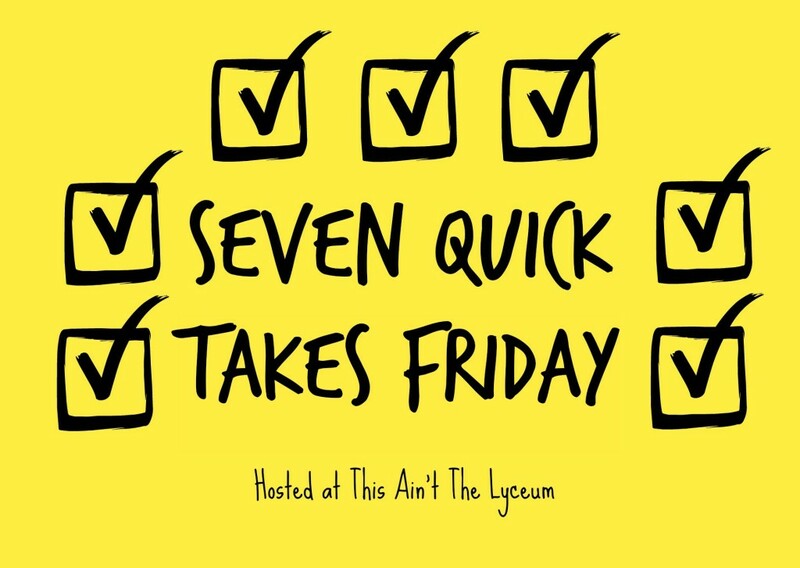 Please join me and other Catholic bloggers for Seven Quick Takes at This Ain’t the Lyceum. My third novel, Stealing Jenny, is #Free on Kindle until Saturday. One line synopsis: Mentally unstable women kidnaps pregnant mom of five. Right now it’s #1 on Amazon’s FREE books in a variety of categories in the USA, Canada and Britain. My company, Full Quiver Publishing, has a new YouTube Channel. Check it out here. Please consider “subscribing!” We’ve got more book trailers to add, as well as more interviews with our authors. Last night, I spoke via Skype to a book club near Barrie, Ontario. They had read my first novel, Emily’s Hope. They asked some great questions and I had a wonderful time speaking with them. Here is a very powerful novena that I pray daily. Saint Padre Pio recited this novena every day for all those who requested his prayers. 5. Review by Ann Frailey of Do You Believe? I really enjoyed Do You Believe (from the creators of God’s Not Dead). My friend, Ann Frailey, posted this review of the movie at her blog and also at Catholic 365. My third novel, Stealing Jenny, will be FREE today (April 14) through Saturday (April 18) on Kindle. Short synopsis: A Witness of God’s Faithfulness: Marie struggles to grow in grace and guidance from the Lord while slowly recognizing her own rebellion. She intimately shows us the highs of her aviation, military and automotive careers and the suffering lows of abuse, bankruptcy, and divorce. Her relationship with God grows through it all. Eve’s Apple is a witness of how God gently guides one of His Eves into a slow freeing surrender of a Mary’s trusting yes. This is a journey of hope, faith, and real relationship! From farm life in Wisconsin, Marie Therese Kceif went on to have a varied full life. She holds a Bachelors of Science in Mathematics. Marie became an active duty US Army Capt. and pilot, automotive manager, bible study leader, RCIA guide, lector, speaker, writer, mom and wife. She now lives with her husband in Fenton, Michigan. Want to win a #FREE E-Book of Eve’s Apple? 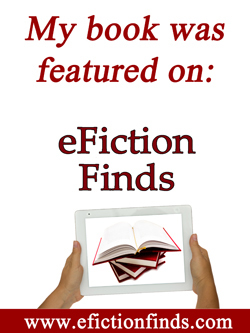 The first person who leaves a comments wins the free e-Book! !